The main difference between indoor and outdoor cultivation is nature: it is the factor that gives us the limitations of whether we will be successful or not in our cultivation: temperature, humidity, altitude, area, ventilation There are many aspects that do not depend on us but where we carry out the cultivation. Outside, everything is subject to environmental factors and, therefore, subject to chance. But do not let panic take over. Growing cannabis seeds is an art and you have to enjoy the process to get the best of the products. Lets begin. Choose your range first: Indica or Sativa? 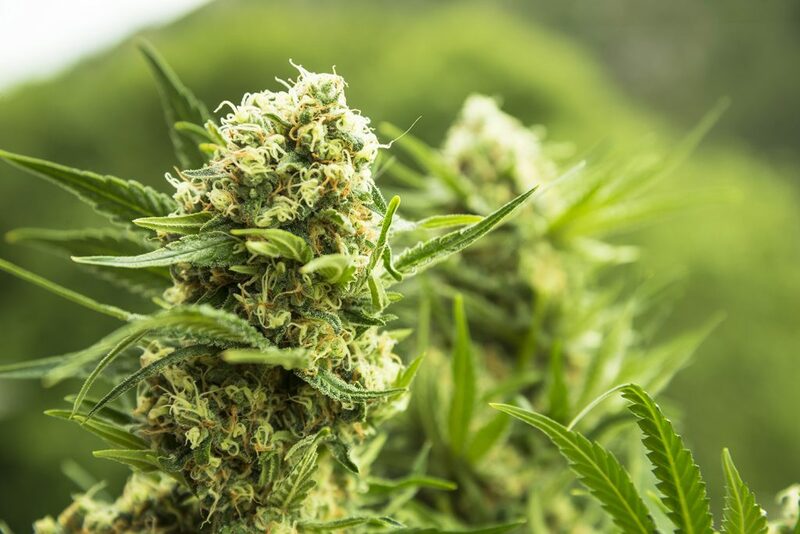 In choosing the species, although scientifically there is only one type (Sativa), we usually decide between indicas and sativas, which will change the method of cultivation, for example, indica plants will be much smaller than sativas, which continue to grow a lot during flowering and have a robustness in the bud that makes it easier for mushrooms to proliferate. 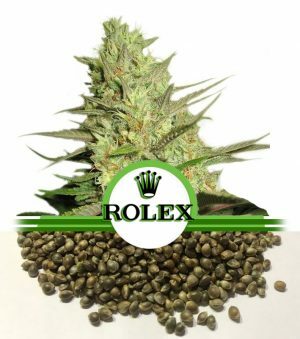 There is also a third choice, which is to take a hybrid of these, for example: with Rudelaris we can find different types of automatics, ideal for users of medicinal cannabis or, autoflowering seeds as they are known in the market. These plants will be smaller and have a smaller production but also you will be able to cut it very soon with which you will have a crop quite quickly and discreetly if the place where we put it is a balcony or a window. What care is needed in the first stage of growth? This first stage will last between 4 and 6 weeks depending on the amount of sun the plant receives and it will be necessary to keep the soil fertile with liquid nutrients. You will realize that it needs nutrients when you see that the leaves are losing their intense green color but do not expect much. Once this stage passes we will be in the following: the flowering stage. Now, watch out for male plants! You are thinking, how do I know if my plant is male or female? Normally you can know from week 6 of growth and you will distinguish if they are male because you will see a kind of round bags below. Inside these bags is where the pollen is and we should not let them open to ensure the crop doesn’t fail. Although it is true that male plants are not totally useless, in another post we will talk about their uses and benefits. There are several ways to be able to guide ourselves. The first it to try consult the package of seeds since it mostly says so. 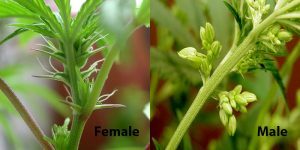 The second is to try to use the visual factor since, in the majority, the pistils of the buds can acquire a brown color and, finally, a third version very similar to the second one happens to check the trichomes of the buds for which you would need a magnifying glass between 10 and 50 magnification to see if they have reached the optimum point of maturation, ie when they are totally mushroom shape and have passed from crystalline color to milky or amber color. We always recommend relying on the experience of experimenting. There is nothing like using the rule of trial and error to get the best buds. For optimum drying it is necessary to have a place where we can suspend the buds in the dark so that they do not receive direct light. A light air breeze will always be beneficial. Something very important to keep in mind to not fall into error. It is not to leave the buds aside somewhere closed. This will only facilitate the proliferation of mold. That said, if you take into account all these tips that we have been giving you, you will arrive at the end of the harvest having an unbeatable quality of product. Why are you waiting to start getting your cannabis seeds? 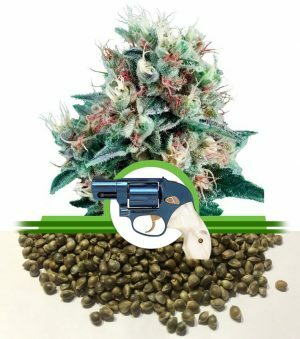 Get your high quality cannabis seeds!